>Easter Eggs of “Spring Spheres”? Where are those pesky eggs? The kids had a great time. 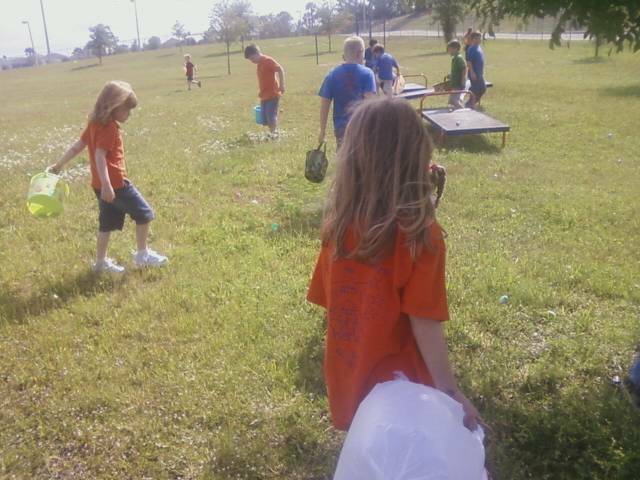 That’s Megan there with her back turned, intently looking for eggs with her name on it. They are very smart at our school. 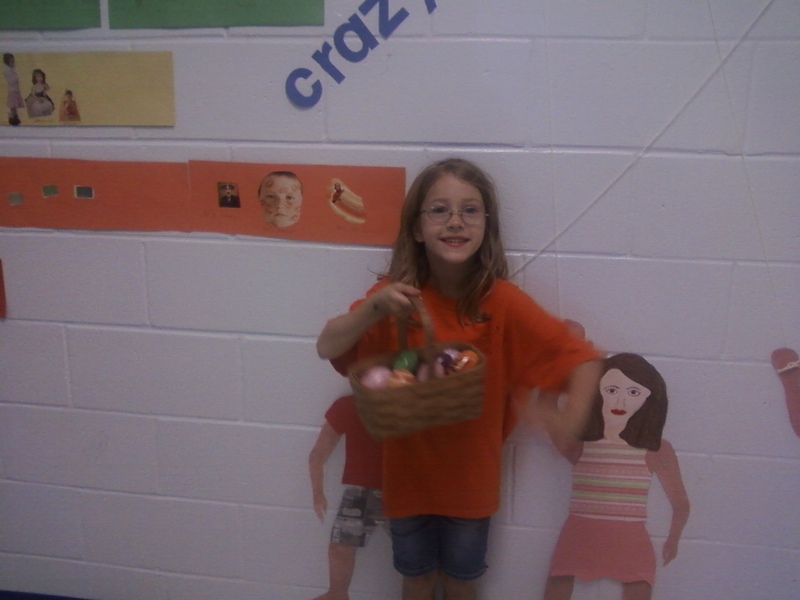 Each egg has a child’s name written on it. That way every child gets the same amount of eggs. No fighting over who touched it first.No “I got more than you” fights. My health conscious kids, LOL. I was bit embarrassed because she said it in front of the mom that brought the cupcakes. Oh well, it was true. The teachers kind of encourage you to take your kid home early on days like this. Not that I mind. It’s more one on one time with one individual child. There is never enough of that to go around. Especially when they are small. 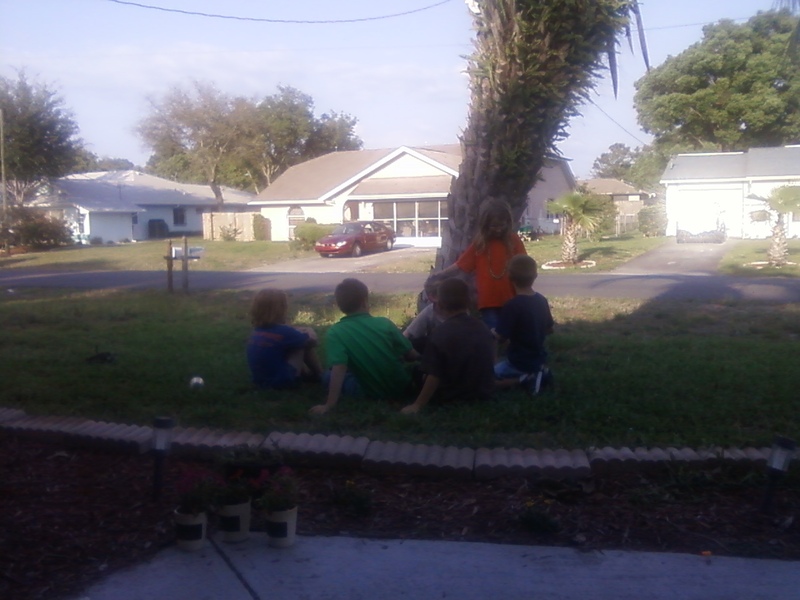 Well, it seems that the neighbor kids have all gravitated to my yard. Not a big deal. I can watch them better over here anyhow. They seem to have fun with each other. They were “tearing up the yard” across the street. They are renters and grass is a big deal in Florida. It is impossibly hard to grow. You don’t want to replace it. Costs a fortune. So they are tearing up my yard, LOL. I don’t care. Kids are only little once. My old people neighbors already hate MY lawn. can’t get too much worse than it is. Such is life for us today. How are you?